Listeners of Joe Rogan’s podcast will know that the ex-Fear Factor host is friends with Infowars’ Alex Jones, the controversial conspiracy theorist who seems to pop in & out of headlines from time to time. Joe Rogan’s Alpha BRAIN versus Alex Jones’ Brain Force. For the record, I gave both of these products favorable reviews in their independent nootropic review articles. But that’s not what matters in these comparative reviews: What matters is which is better? Which is worth your dolla-dolla?? Brain Force or Alpha BRAIN: Which is better? 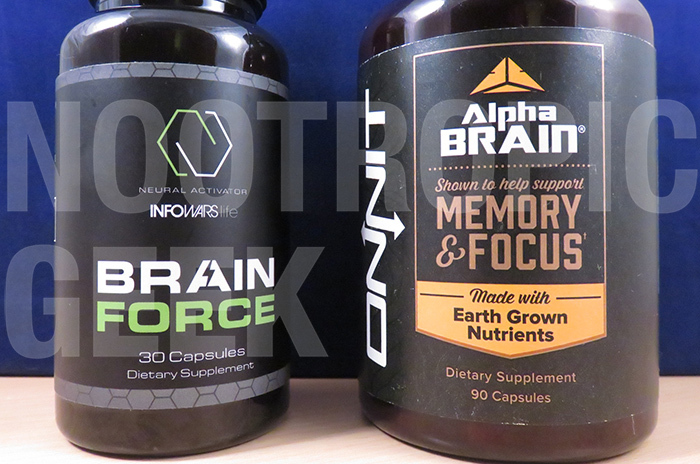 In terms of ingredient choices, Brain Force & Alpha BRAIN have much in common. Powerful natural nootropics such as Bacopa Monnieri, Phosphatidylserine, L-Theanine, Huperzine-A, and Alpha-GPC are shared between the formulas, in addition to mood-booster Vitamin B6. These days, Infowars is a divisive subject in the media. Regardless, the network’s intent on “freeing the mind” from all of the “toxic weapons” in our diet & culture seems genuine with this well-crafted, Earth-grown blend of nootropics that nourish the brain as much as they boost cognition. Not that there aren’t any questionable ingredients in this stack–for instance: Theobromine, the non-nootropic “love drug” stimulant in chocolate, and Yerba Mate Powder, which reads like a potentially sneaky source of undocumented caffeine. Even so, the ingredients listed above (that can also be found in Alpha BRAIN) provide a diverse range of brain benefits that may support cognitive performance for students, workers, & anyone else in need of extra brainpower. Focus: The mix of Alpha-GPC, Bacopa, & Hup-A supports focus-enhancing neurotransmitter status for boosted learning, memory, & cognition. 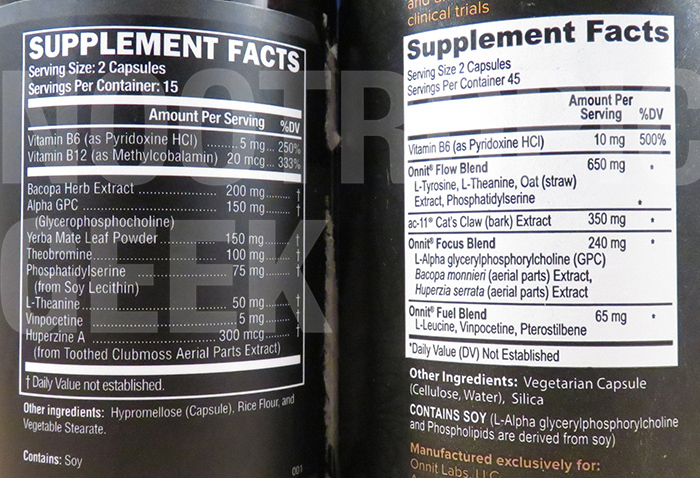 Fuel: Via enhanced cerebral circulation & neuroprotective antioxidant pterostilbene. Aside from these blends, the star ingredient in this stack is AC-11, a branded extract of Cat’s Claw, which is being touted as a nootropic, but currently lacks the research to validate this claim. Even so, I like its presence here for its exceptional potential in this formula. Read my in-depth review on Alpha BRAIN. And the research says: Cat claws kill! In my mind, when I imagine Brain Force & Alpha BRAIN sitting side-by-side, I actually imagine Joe Rogen standing next to Alex Jones–the somewhat official faces of these products, both being characters who are unique in their own rights. Vitamin B12: Not as nootropic as B6, but Brain Force deserves props for providing the superior methylcobalamin form of the vitamin. 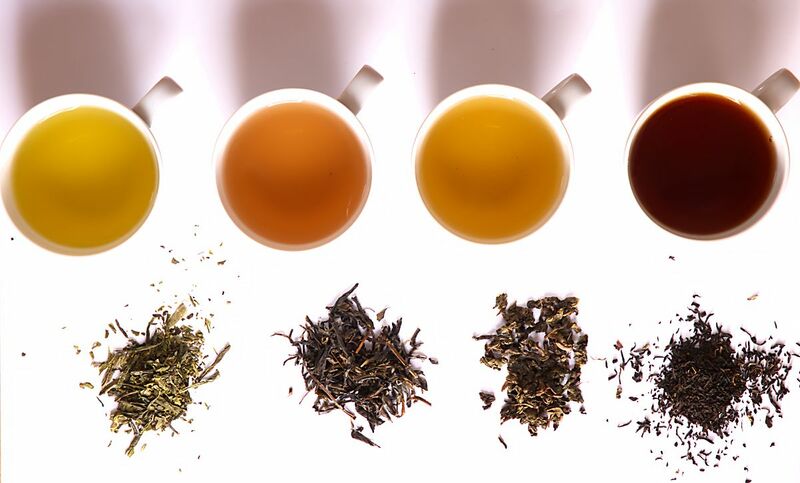 Yerba Mate Leaf Powder: As a caffeine source, Yerba Mate is better than coffee for its wide array of antioxidants. Yet I’m not huge on caffeine sources in nootropic stacks in general. Theobromine: Another interesting addition to the formula for its “stimulant” status. Theobromine & (possibly) caffeine aren’t ingredients I’d necessarily use while admonishing the “toxic weapons” in our diets. Brain Force Plus: The “Plus” version of this formula adds 6 capsules and swaps out Vinpocetine for Black Pepper, all for the same price. While I like Vinpocetine, I also like Black Pepper’s nutrient absorption benefits. AC-11® Cat’s Claw: Only Onnit has this specific Cat’s Claw extract, giving Alpha BRAIN a unique advantage overall nootropics–depending on the true nootropic potential of this herb. Oat’s Straw Extract: Works well with L-Theanine for further supporting alpha brain waves. L-Tyrosine: Solid addition to this formula, although I’d prefer the N-Acetyl-L-Tyrosine form. Pterostilbene: Potent antioxidant found in red wine, believed to be superior to the better known Resveratrol antioxidant. 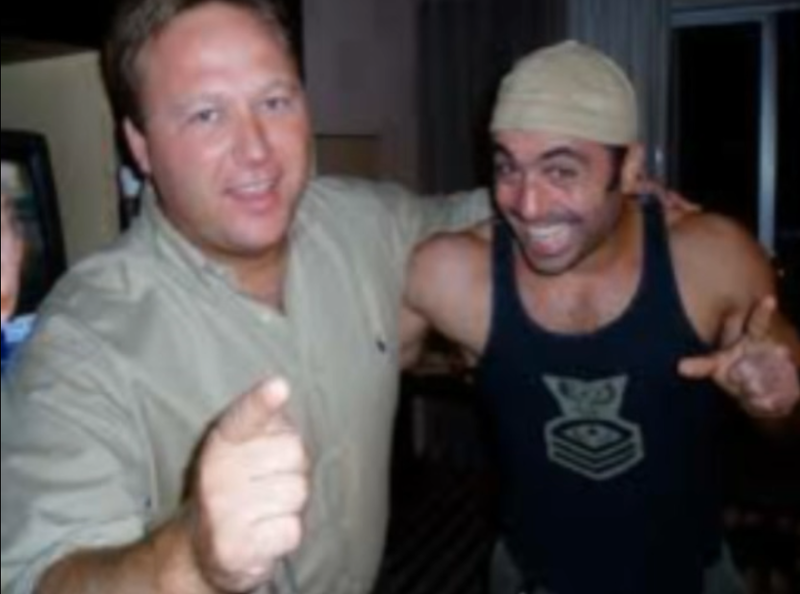 Alex Jones & Joe Rogan while I’m writing this review. One thing that Alpha BRAIN needs to learn from Brain Force: Transparency matters. While Alpha BRAIN’s proprietary blends look solid, well-designed & adequately dosed, they obscure the individual ingredient dosages for each nootropic, in effect obscuring my confidence in the formula. This is typically one of the first things I look for in a nootropic supplement, so it’s never a good start, even for solid supplements, when they decide to go with proprietary blend formulation. Yet, this doesn’t let Brain Force entirely off the hook: Just because I can see all of its ingredient dosages, doesn’t make them all automatically good. For instance, the 50 mg L-Theanine is weak sauce, leading me to believe that Alpha BRAIN might actually supply more of this powerful nootropic than Brain Force. Furthermore, Alpha BRAIN supplies double the B6 amount found in Brain Force. Not that this is a huge deal, but yee. It is something. If you go with the Brain Force Plus formulation of Infowars creation, then you lose out on Vinpocetine, which is one of my favorite nootropics, but you get Black Pepper Extract, which directly boosts the measures of this segment: Potency & Quality. Personally, I don’t know which option is superior: Brain Force or Brain Force Plus. However, between Brain Force & Alpha BRAIN, the formulas are practically equal in this department. The former has some dosages that could be improved. The latter needs to show its dosages. Yet, both supply generally above-average potency & quality. Take Note: Brain Force Plus sells for the same price, but notches in 20% more (3 extra servings)–which would reduce the Price Per Serving down to $2.22. This is clearly the better option over the vanilla Brain Force supplement. Brain Force is better for mental energy. This mental energy may come at the cost of caffeinated jitters & Theobromine stimulation–i.e. bio-actions that aren’t necessarily good for you. However, combined with the brain healthy, focus enhancing ingredients, this mental energy seems manageable, if not beneficial to sustaining healthy mental production. Alpha BRAIN is better for brain waves & chemicals. Brain Force has L-Theanine, but Alpha BRAIN has L-Theanine & Oatstraw, providing more alpha brain wave support. Brain Force has Huperzine-A, but Alpha BRAIN has Huperzine-A & L-Tyrosine, providing more neurochemical support. In essence, Alpha BRAIN accomplishes all of the nootropic bio-benefits of Brain Force and then some. This is one of those comparisons that I didn’t want to do, because I actually like both of these formulas. They’re surprisingly well-designed & well-formulated, stacking up a surprising amount of well-researched, brain healthy nootropics. While I typically view celebrity endorsements as bought-off bogus, the fact that Joe Rogan & Alex Jones are so active in promoting their formulas speaks on a positive level. The fact that the formulas are actually good supports this notion. Yet, all of this aside, I do recommend one stack over the other, simply for having more nootropics than other. I am, after all, the Nootropic Geek. I like nootropics. So I’m going to go with the formula that has more nootropics. And that formula is: Alpha BRAIN. Great review. Thanks for the well thought out arguents. For someone relatively new to nootropics this is important stuff. Can you/do you have a review of chordycep mushrooms? Like rogans shroomtec vs…? Others? Appreciate the read, and thanks for the input. Thank you. I have been a Brain Force Plus user for a while ( it does work) but your analysis has led me to try Alpha Brain. Any extra edge is important. I will come back and let y’all know real world differences. Would it ne benefitial to alternate Brain Focus Plus and Alpha Brain? Not a bad idea, especially to get a better sense of which product works best for you. Both supplements carry Bacopa, which requires long-term supplementation to reach peak effect, so transitioning back and forth between formulas won’t impair the Bacopa benefits. If you do alternate between Brain Focus Plus and Alpha Brain, I’d be interested to hear which one worked better for you. Is the oat straw gluten free? May explain headaches some get after using Alpha Brain for 3 months. If this is a problem, it would explain why such headaches may not go away right away (It takes about 3 months to get gluten out of your system.) I’ve also heard headaches more often occur with phosphadityl-serine levels over 300 – too bad we don’t know the answer to either question here. That’s a good question. I believe Onnit lists Alpha BRAIN as a gluten-free formula, but I haven’t seen much in the scientific literature on oat straw that could tell us definitively. I agree: it’s frustrating when manufacturers hide their dosages beneath proprietary blends — might help to figure out what’s doing what in these formulas.